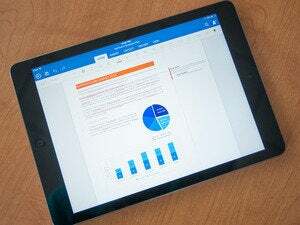 Microsoft officially announced Microsoft Office for iPad on Thursday, pushing Microsoft’s office suite onto the most popular tablet in the market. A touch-based version of Office is also in the works for Windows, Julia White, a senior Office executive for Microsoft, confirmed. Microsoft Word for iPad, Excel for iPad, and PowerPoint for iPad will all be free to download from the iTunes App Store, executives said. However, users will be only able to view existing documents. Microsoft will ask users to sign up for an Office 365 subscription—$9.99 per month for Office 365 Home Premium and $6.99 per month for the upcoming Personal plan—to actually create or edit documents. 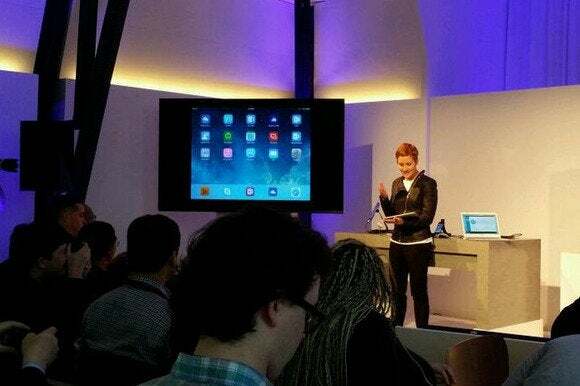 Office for iPad will integrate with a user’s OneDrive account, enabling a worker to create a PowerPoint presentation at the office, then edit and revise it on her train trip home. A document will remain consistently formatted, even if an Office implementation (such as Office Mobile) doesn't support a particular feature. Why is this announcement so critical for Microsoft? Volume. Microsoft has put Office onto tablets before: The company shipped a special version of its core Office apps for its own Microsoft Surface tablet and its successor, the Surface 2. But estimates by IHS put Microsoft’s fourth-quarter Surface sales at just over a million units; Apple sold 26 million iPads during the fourth quarter alone. Microsoft's core Office apps are actually the last to migrate to the platform, as Apple users have been able to download everything from Lync, Skype, and Yammer to the iPad, while OneNote for the iPad has been available since 2011. Microsoft's new chief executive, Satya Nadella, has made it clear that connecting users to Microsoft's cloud services, regardless of platform, has been the company's priority. His "mobile first, cloud first" mantra seems reflected in the Office push onto the iPad. Apple has its own office suite, called iWork, which Apple began bundling for free onto new iOS and Mac devices late last year. Will Microsoft be able to muscle in on Apple's turf, or will iPad users prefer their tried-and-true apps? The next few months will answer that question. Correction: This story has been corrected to note that an Office 365 subscription is needed to edit as well as create documents. Updated at 7:15 p.m. PT with a video report from IDG News Service.